Searching out natural remedies for pain relief is often overlooked when one is desperate for pain relief. Pain is said to bring more people to the doctor’s office and emergency room more than just about any other health concern. According to the Institute of Medicine chronic pain now affects about 100 million American adults which is more than the total affected by heart disease, cancer, and diabetes combined. Pain also costs our country up to $635 billion each year in medical treatment and lost productivity. Pain is usually defined as either acute or chronic. Acute pain is a protective mechanism that makes one aware of an injury (NIH MedlinePlus 2012; Cleveland Clinic 2008). In contrast to acute pain, chronic pain is continual and can last for months or years. Chronic pain can drastically reduce quality of life. We now know that 79% of chronic pain patients report disruptions in daily activities and 67% indicate that chronic pain negatively impacts their personal relationships (NIH MedlinePlus 2012; MedicineNet 2012; Vo 2008). Chronic pain is often resistant to conventional medical treatments (MedicineNet 2012; Lumley 2011; Coluzzi 2011). And effective pharmacologic pain management of chronic pain is often hindered by grave long-term side effects. 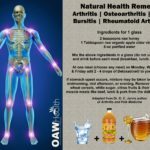 Natural remedies for pain offer good solutions for those who prefer not to use prescription meds; however, these natural remedies for pain relief are usually not quick fixes, but instead supplements and/or modalities in which one must be diligent in using in order to experience symptom relief. 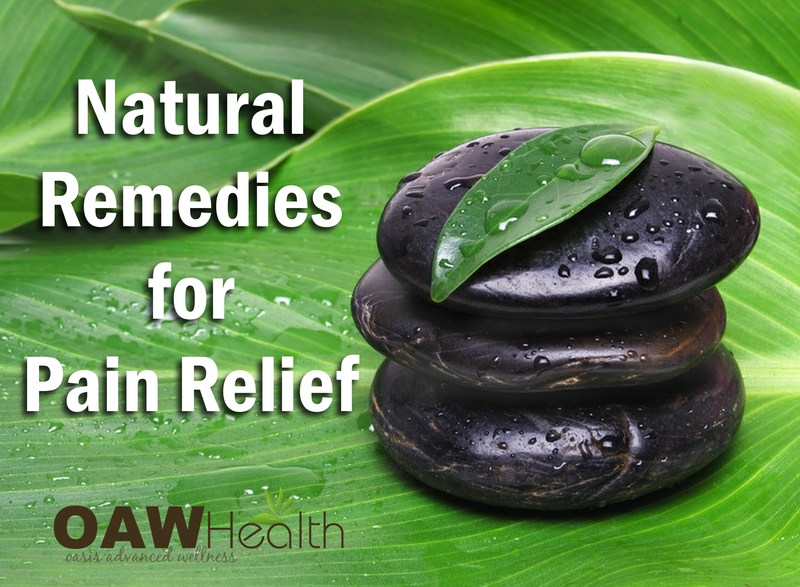 These natural remedies for pain relief are beneficial not only for pain relief support, but also because they do not produce additional long-term health concerns. 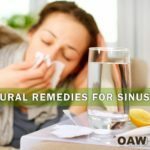 In my experience, those that experience the most success with natural remedies for pain relief usually have someone such as a spouse, friend or family member to help them with implementation and also to provide much needed support and encouragement. Many of the suggestions below can be used together and this list is by no means exhaustive. While the list may seem a bit daunting at first, I highly suggest taking the list to your integrative or natural healthcare practitioner for recommendations about what to implement for your particular health concern(s). There is always the possibility that your healthcare practitioner may not be familiar with some of these suggestions so be sure to do your research ahead of time. Reminder: Any type of pain should always be checked out by a knowledgeable healthcare practitioner. Chiropractic – There are many potential benefits from chiropractic care, and some of the major ones include: Relief from pain in the back, neck, shoulders, head, etc. Such treatments can often prevent surgery and help individuals to get off pain medication. For instance, back surgery does not have a very successive success rate as surgeries go, and the ongoing use of pain medication can be toxic and dangerous to the body. Acupuncture is an integrative treatment increasingly accepted by even conventional doctors. As detailed in a rigorous meta-analysis from 2012, it can help manage not only chronic pain (including fibromyalgia, osteoarthritis, and sports injuries), but can provide relief from migraines and arthritis. Homeopathy: Homeopathy is a system of medicine which involves treating the individual with highly diluted substances, given mainly in tablet form, with the aim of triggering the body’s natural system of healing. Based on their specific symptoms, a homeopath will match the most appropriate medicine to each patient. A double blind, random-controlled trial (RCT) published in Rheumatology International, reported that people suffering from osteoarthritis felt more relief from Arnica (herb that grows in the US and Europe) gel than ibuprofen gel. Also available in tablet form, Arnica tablets should be taken as quickly as possible after an injury or before an expected one (such as a medical or dental operation). It is also used for back pain and joint pain caused by arthritis. For people with muscle pain, headaches, or toothache, aconite may help reduce pain. Staphisagria may also help back pain and sciatica, as well as pain from a recent surgery. Prolotherapy is the injection of natural substances into chronically injured areas of the body. The injected substances themselves don’t heal, but rather stimulate cell growth in the tissues that stabilize weakened joints, cartilage, ligaments, and tendons. Must be performed by a healthcare practitioner. Prolozone therapy uses injections that are a combination of collagen-producing substances and ozone. As a fusion of prolotherapy and ozone therapy, it is sometimes described as a major advance on both treatments. Must be performed by a healthcare practitioner. TENS (transcutaneous electrical nerve stimulation) uses a low-voltage electrical current for pain relief. TENS is thought to “scramble” pain messages being sent to the brain, and may help the body produce its own “painkillers” (i.e., endorphins). Other techniques to research are PEMF (pulsed electromagnetic field therapy); MME; high intensity laser treatments; infrared light therapy (such as anodyne therapy); and sonic massage units, which use high frequency sound waves to penetrate deep into muscle tissue (e.g., the Novafon). PNT (Dr. Stephen Kaufman Pain Neutralization Technique™) is a gentle form of chiropractic manipulation that “turns off” the nerve reflexes that perpetuate trigger points (small—but painful—muscle knots) and muscle pain. PNT, is a non-invasive technique that requires only very light pressure. “The vast majority got immediate relief, even with very long term chronic problems. It was absolutely incredible! What is revolutionary is that he (Kaufman) is the first to fully employ the natural reflexes of the body to generate instant healing. I’ll be devoting an issue of my newsletter to his techniques.” Robert Rowen, M.D. editor-in- chief, “Second Opinion” newsletter. Santa Rosa, CA. Infrared & Moist Heating Pads – During the healing process, moist heat therapy combined with far infrared has proven most effective to ease pain, reduce stiffness, and increase circulation. Capillaries are dilated which in turn increases blood flow which nourishes tissues with nutrients and oxygen to accelerate the healing process. Moist heat is most effective for providing relief of many types of pain caused by sports injury, muscle injury, sore muscles, muscle strain, tendon injury and painful joints. It can help increase flexibility in joints, muscles and connective tissue. Far Infrared Saunas – Clinical research on pain offers evidence to establish a novel class of pain “heat responsive pain” or HRP, which encompasses several common pain conditions that can be treated with the use of heat therapy. Researchers studying HRP (Heat Responsive Pain) have observed remarkable therapeutic benefits by using continuous low level heat therapy for treating lower back and upper back pain, all conditions that fall under the HRP classification. “For centuries healthcare providers have used topical heat to relieve minor aches and pains, but today we are just beginning to understand the full range of therapeutic benefits that heat offers,” said pain expert Peter Vicente, Ph.D. past president of the American Pain Society and Clinical Health Psychologist, Riverhills Healthcare, Cincinnati, OH. “Through new clinical research, we have found that heat activates complex neurological, vascular and metabolic mechanisms to mediate the transmission of pain signals and effectively provide relief for a variety of pain conditions.” This deep heat helps blood vessels dilate, bringing relief and healing to muscles and is used to treat patients suffering from many forms of arthritis. Infrared treatments also help in relief of pain associated with backache, bursitis, fibromyalgia, headache, sprains and ailments. Stiffness and soreness that comes with aging is reduced. Hydrotherapy – Hydrotherapy is one of the oldest forms of medicine. Research has shown warm water therapy is effective for all kinds of musculoskeletal complaints, including fibromyalgia, arthritis and low back pain. “The research shows our ancestors got it right. It makes you feel better. It makes the joints looser. It reduces pain and it seems to have a somewhat prolonged effect that goes beyond the period of immersion,” says Bruce E. Becker, MD, director of the National Aquatics & Sports Medicine Institute at Washington State University in Spokane. It reduces the force of gravity that’s compressing the joint, offers 360-degree support for sore limbs, can decrease swelling and inflammation and increase circulation. The National Academy of Sciences has collected data that indicates most Americans don’t get enough magnesium, a mineral that’s important for bone and heart health. One way to help remedy that is bathing in magnesium sulfate crystals, also known as Epsom salts. Magnesium has a relaxing effect on the entire body. Exercise – Believe it or not, light exercise can relief some forms of pain. Walking, light rebounding, stationary biking, elliptical training, resistance training, Yoga, Pilates, etc. are easy to do and can help get fresh blood to aching muscles. According to the American College of Sports Medicine, as little as two minutes of exercise a day can reduce pain and tenderness in adults with neck and shoulder problems. One study found that a group arthritic patients who exercised regularly had less joint replacement surgeries when compared to a group of similar-aged persons who did not exercise. However, if you have been inactive, it is extremely important that you start out slowly doing two to three short sessions daily which will help you get used to the activity, without increasing your pain. Exercise can also help to clear the mind and relieve stress. Caution: Always consult your healthcare practitioner before beginning any type of exercise program. EFT (Emotional Freedom Technique) – EFT uses elements of Cognitive Therapy and Exposure Therapy, and combines them with Acupressure, in the form of fingertip tapping on 12 acupuncture points. Over 20 clinical trials published in peer-reviewed medical and psychology journals have demonstrated that EFT is effective for phobias, anxiety, depression, posttraumatic stress disorder, pain, and other problems. 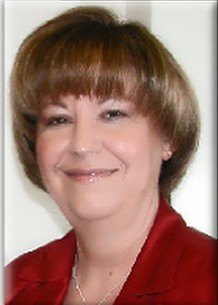 The founder of EFT Gary Craig is a Stanford Engineer and personal performance coach. Learn more about EFT, EFT Research as well as Free EFT Videos at Emotional Freedom Techniques. MSM (methylsulfonylmethane) – MSM is a naturally occurring sulfur compound found in the cells of all living things, including plants, animals, and humans. It has been a part of the Earth’s delicate ecosystem from the beginning of time. Your body utilizes and expends MSM on a daily basis. When taken as a dietary supplement, MSM has been successful in supporting joint health, respiratory health, and various other bodily functions. When combined with Boswellia seratta MSM significantly reduced the need for NSAIDs compared to placebo among subjects with knee osteoarthritis, suggesting the combination exerted considerable anti-inflammatory action (Notarnicola 2011). Systemic|Proteolytic Enzymes – Systemic enzymes include enzymes such as Serrapeptase, Nattokinase, Bromelain. Systemic Enzymes are reaction-causing agents allowing cells to regenerate, enable breathing, healing and make other body functions possible. These enzymes attack fibrin and may reduce the impact of fibrin buildup associated with arthritic and inflammatory conditions, plaque build-up within the arteries, scar tissue, production of C-Reactive Protein (CRP) and Fibrosis. Proteolytic enzymes breakdown and digest proteins into fragments. Recent scientific evidence supports the use of proteolytic enzyme supplements for enhancing digestive function and for speeding recovery from injury/surgery and reducing swelling and inflammation. Tumeric, ginger, boswellia, Angelica gigas Nakai (Korean angelica), oregano oil and bromelain exhibit effective anti-inflammatory properties. Cetyl myristoleate is an effective joint lubricant and an anti-inflammatory for many. Glucosamine sulfate – “When it comes to joint pain, I think glucosamine supplements have some of the best data out there,” says Leopold. There’s especially strong evidence that this pain supplement can help relieve osteoarthritis pain in the knee. Glucosamine is often combined with chondroitin, which could have an additional benefit. Studies suggest that glucosamine not only eases pain, but also slows the progression of osteoarthritis. Samento (a form of the herb cat’s claw), green tea extract, and zeaxanthin (and other carotenoids) can help manage rheumatoid arthritis. Natural alternatives are particularly important, given the serious—and sometimes fatal—side effects of prescription RA treatments. Gamma Linolenic Acid (beneficial omega-6 fatty acid) – Gamma linolenic acid (GLA) is a plant-derived omega-6 most abundant in seeds of an Eastern flower known as borage. Although a member of the omega-6 family, it is metabolized differently than other omega-6s. A separate mechanism by which GLA and other beneficial fatty acids reduce inflammation is by activating the powerful peroxisome proliferator-activated receptor (PPAR) system (Hontecillas 2009). PPARs are intracellular receptors that modulate cell metabolism and responses to inflammation. In studies, GLA has been shown to relieve pain that results from a variety of conditions, including neuropathy, breast pain, and rheumatoid arthritis (Horrobin 1993; Ranieri 2009; Hansen 1983) (Chaggar 2009). Capsaicin – Capsaicin, the compound that gives chili peppers their spicy taste, has medicinal value as an over-the-counter topical pain reliever. It is usually well tolerated, and comes in a variety of formulations such as creams, gels, lotions, patches, and sticks (Robb-Nicholson 2011). Studies have found capsaicin can help relieve pain from rheumatoid arthritis, osteoarthritis, psoriasis, shingles, and diabetic neuropathy. It may also offer natural pain relief for back pain, fibromyalgia pain, and headaches. Caution: Your pain may worsen for a few days before it improves when you use capsaicin. Saffron & L-Tryptophan – Antidepressant medications provide analgesia via various mechanisms, including by boosting levels of serotonin, which helps the brain control pain sensations (Dharmshaktu 2012). Therefore, since the amino L-tryptophan and bioactive compounds in saffron may modulate serotonergic activity within the brain, some innovative scientists have proposed them as potential central pain relievers (Amin 2012; Ceccherelli 1991). Essential Oils – Essential oils are usually used in massage oils, bath salts/oils or in pain relief creams and lotions and when applied externally can help to ease pain from many causes including muscle tension, neuropathy, migraine and inflammation. There are over 60 different essential oils for pain that have analgesic (relieves or reduces pain) properties. I will not go into which brands are best or more “therapeutic” since most essential oil brands make these claims for their particular products. Some essential oils that provide pain relief are Peppermint, Wintergreen, Frankincense, Helichrysum, Basil, Birch, Valerian, Clove, Roman Chamomile, Melaleuca Alternifolia, Lavender, Black Pepper, Ginger, Vetiver, Lemon Grass, Oregano, Balsam Fir, Nutmeg, Clary Sage, Yarrow, Juniper, Eucalyptus and Rosemary. The following dietary vitamins have been used for effective pain relief. Vitamin D3 – Vitamin D deficiency has been linked to fibromyalgia, chronic widespread pain (CWP), and an unusual pain syndrome characterized by musculoskeletal and bone pain (Gloth 2004; Manson 2010). One 2009 study looked at the vitamin D levels of people with chronic pain who were using opioid painkillers. Those who had a deficiency of vitamin D needed almost twice as high a dose of medication to control their pain. It is recommended to get your Vitamin D3 levels checked before supplementing. B Vitamins – Vitamins B1 (thiamine), B6 (pyridoxine), and B12 (methylcobalamin) are not only beneficial for managing pain that may result from a vitamin B deficiency, but are also effective (alone or in combination) with other conventional medications for various painful diseases (e.g., degenerative spine disease, rheumatic diseases, low-back pain, and tonsillectomy pain) (Proctor 2001; Koike 2006; Ponce-Monter 2012). Vitamin C – A 2011 animal study revealed that the administration of the antioxidants Vitamin C and E inhibited pain related to peripheral injury. The authors concluded, “supplementation or treatment with both vitamins might be an option in patients suffering from specific pain states” (Lu 2011). Vitamin E (natural form – mixed Tocopherols & Tocotrienols) – The analgesic effects of full-spectrum vitamin E may be partially explained through its antioxidant properties, which involve blocking the production of reactive oxygen species (ROS) that are involved in neuropathic pain. Vitamin E’s analgesic effect may also be related to its ability to make the brain less sensitive to pain (Kim 2006). Evidence suggests that certain types of dietary interventions may have considerable effects on chronic pain, especially chronic pain that is severe (Tennant 2011). Consuming a diet rich in antioxidants may be helpful for the relief of chronic pain. This is because antioxidants neutralize free radicals and oxidative stress, which play a significant role in persistent pain conditions and have been linked to an increase in pain sensitivity (Tall 2004). Some researchers believe that many of these dietary interventions activate the endogenous opioid system, which is the body’s natural defense against pain (Bell 2007). Moreover, documenting dietary history to ensure adequate protein intake can help chronic pain patients avoid muscle loss and weakness (Tennant 2011). Eliminating such foods as refined sugar, dairy, wheat and refined vegetable oils can help relieve many of the daily aches and pains. In closing, the most effective way to get pain relief is to get to the root cause of the pain, if possible. Many doctors are quick to prescribe pain medications without doing the necessary investigation to find out “why” the patient is experiencing pain. Finding the root cause will usually save money and time as well as alleviating stress. Also, experiencing the agony of pain day after day can make even the most well-adjusted person grouchy and irritable. One more suggestion, that many clients say help ease their pain, is a pain-relief bath which can help relieve tension and stress as well as and help with relaxation: 1 drop of Rosemary Essential Oil, 5 drops of Juniper Essential Oil, 3 drops of Lavender Essential Oil and two Cups of Epsom Salts. Combine all ingredients. Fill bath tub with not water and add mixture. Relax in bath for 20-25 minutes. (http://aromatherapycontessa.com) You may also want to try my DIY Sress Relief & Detox Bath Recipe. Natural Solutions for Pain: Non-Addictive and Cost-Effective – Alliance for Natural Health, October 22, 2013. Vitamin E Reduces Inflammation – Yam ML, Abdul Hafid SR, Cheng HM, Nesaretnam K. Tocotrienols suppress proinflammatory markers and cyclooxygenase-2 expression in RAW264.7 macrophages. Lipids. 2009 Sep;44(9):787-97.